The Super Bowl is here! It's time to brush off that old playbook, and bust out a refreshed game plan! Building positive relationships and trust with your students during the school year will help ensure successful instruction, discipline, communication, and mediation with that student during both the good and bad moments of their educational journey throughout the year. 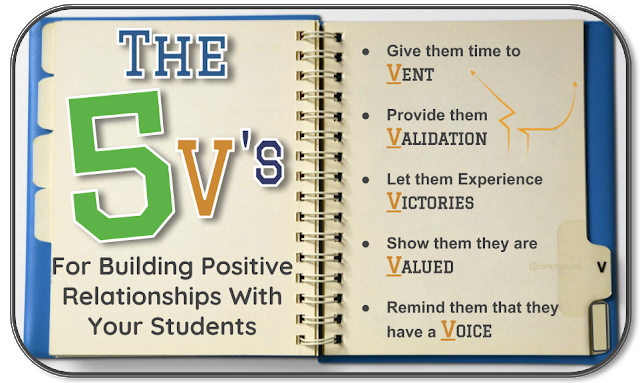 We have laid out a solid game plan for you with our list of 5 "V's" you can use to build positive relationships with your students. Give students time to vent. We all come to school with extra baggage, emotions, and frustrations. Sit down with the student, get rid of any distractions (grading papers, or being on your phone) and truly listen to the student. Allow them to open up to you, even if this means teaching them how to control their frustrations and discuss them in a calm manner. We all want to be heard, sometimes we just need an educator to listen. "Validation is the act of recognizing and affirming the feelings or perspective of another person. It’s acknowledging that these thoughts and feelings are true for that person. It’s a very simple, astoundingly fast way to make progress in a conversation: It eases tension, builds trust, and gets you and the other person to a solution more quickly." When building positive relationships with your students, remember that they need to feel valued. Students need to feel as if they are a part of the school, they need to feel included, and they need to know that they are an integral part of the class. 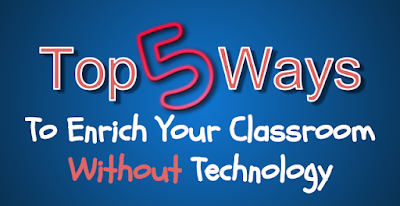 Give them a class job, have students provide positive comments and feedback to each other (digitally or non-digitally). Greet them at the door every morning with a smile and a greeting. Tell them how happy you are that they are a part of your class. Call on them during class instruction, listen to their thoughts and opinions, and make positive phone calls home acknowledging to their guardians that their child is valued in your class. Lastly, allow your students to have a voice! Listen and let them talk when needed. Give them voice and choice when it comes to their learning and engagement with digital and non-digital learning menus (Here's our recent Fortnite digital menu). 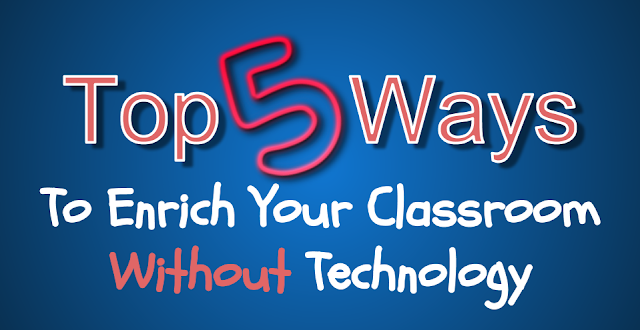 Allow them to talk, collaborate, and share in groups. Students need to feel heard, be heard and have a voice in class discussions, decisions, and their education.